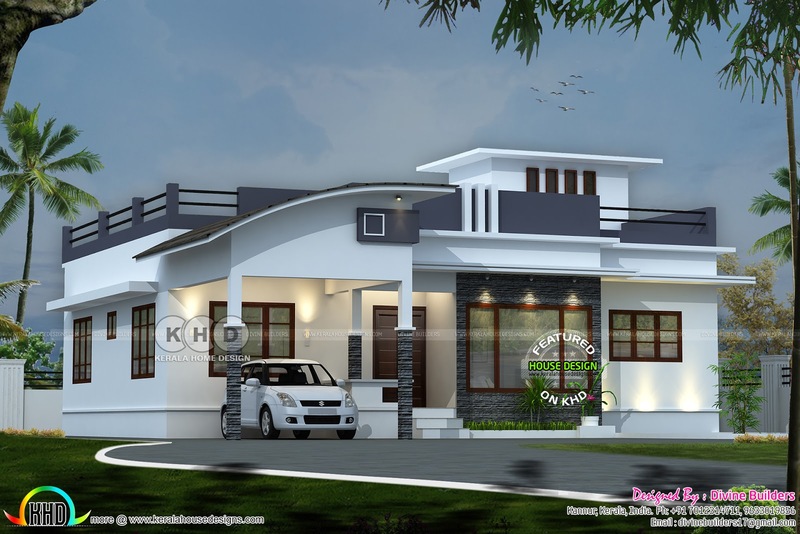 ₹30 lakhs construction cost estimated (October 09, 2017) modern single floor house in an area of 1683 Square Feet (156 Square Meter) (187 Square Yards). Design provided by Divine Builders from Kannur, Kerala. Ground floor : 1442 Sq.Ft. Porch area : 142 Sq.Ft. Total area : 1683 Sq.Ft. 0 comments on "Modern single floor for ₹30 lakhs"